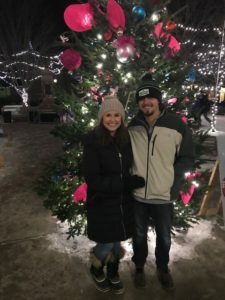 Tonya graduated from Bemidji State University with a degree in Marketing Communications and minors in both Mass Communication and Business Administration. Originally from Warroad, MN - Tonya has worn many hats before joining the Brand Yourself team. She comes to Brand Yourself with a background in marketing, merchandising, and social media. Tonya is excited to work with our clients to promote their business and to strategize the best social media and marketing strategy based on their goals. She likes being able to work with such a wide range of businesses and dabble in so many different industries. She loves talking with clients about their business and what makes it special. Tonya is a very passionate and creative person, she feels blessed to be in a position that supports her enthusiasm. Her favorite thing about the role so far is how it exposes you to every different aspect of an agency and allows you to learn something new everyday. Getting to collaborate and work with this awesome team is just icing on the cake! 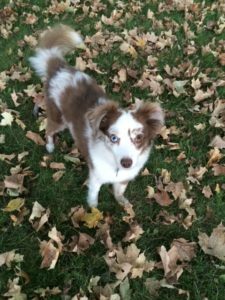 Tonya lives in the country near Lonsdale, MN with her boyfriend and adorable toy size Australian shepherd named Trax. When she’s not working, you can usually find Tonya sitting on her front porch reading a good book. She has a passion for the outdoors and enjoys watching the wildlife. She also loves antiquing and DIY projects. They built their house from the ground up and the projects never end. While in high school, Tonya traveled to Australia with the People to People Student Ambassador program. Her favorite food is peanut butter and pickle sandwiches. Don’t knock it until you try it. To stay up-to-date with Brand Yourself’s services, offers, and other fun information, sign up for our newsletter. You can also find us on Facebook, Twitter, and Pinterest.